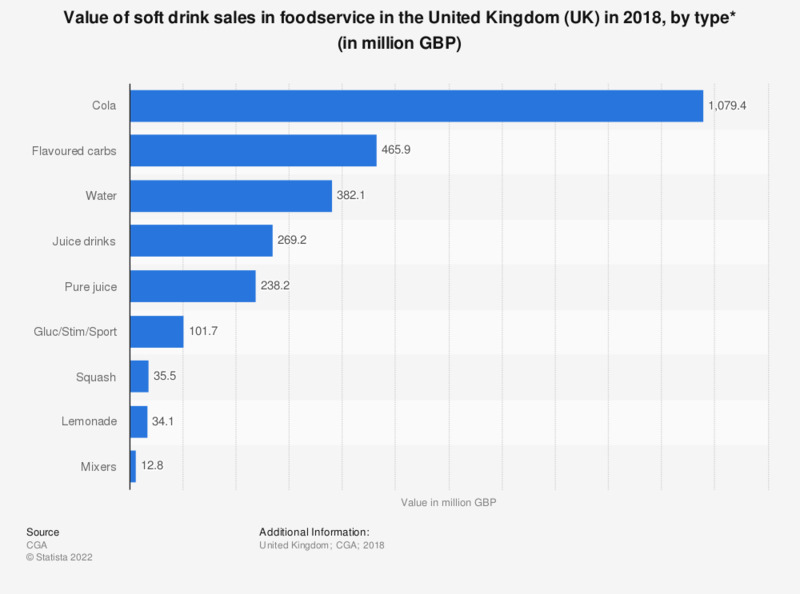 This statistic shows the value of soft drinks sold in food service in the United Kingdom in 2018, by soft drink category. During this period, cola and flavored carbonated drinks had the highest value, with 1,079 and 466 million British pounds worth of sales via foodservice establishments respectively. The value of soft drink sales in licensed premises in the United Kingdom can be found via the following link. * Moving annual total as of 31.12.2017.